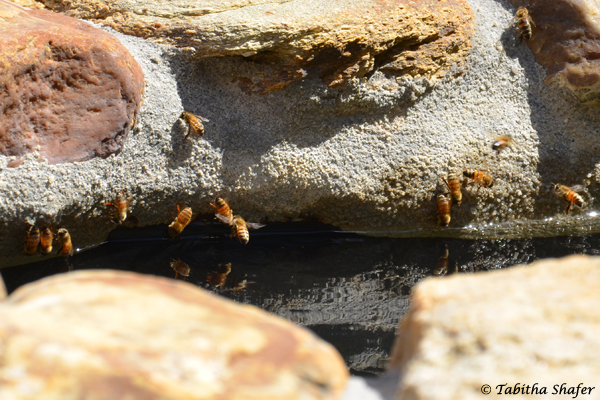 This entry was posted in Foraging, Our Bees and tagged bees, bees drinking water. What a wonderful drinking spot, your bees are really spoiled! Well, I’ll be! 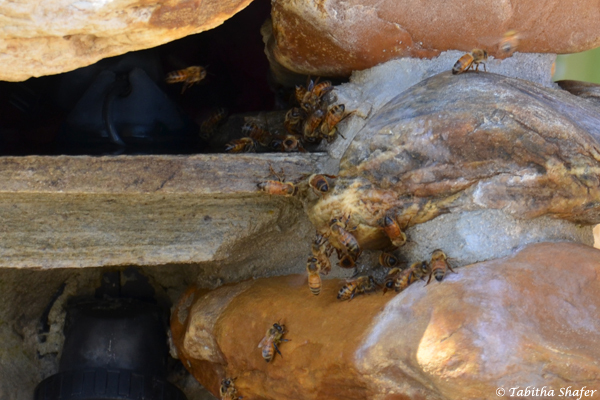 I’ve provided a water bucket with wooden floats, but I’ve never seen the bees use it. I don’t know where my bees get their water. 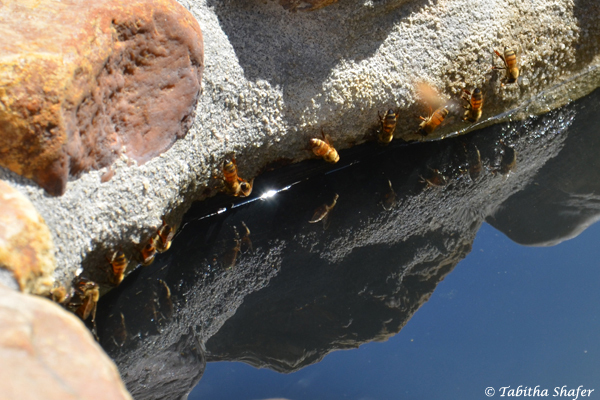 I like the photos of the bees just above the water line, but aren’t you worried they might fall in and drown? There are a few bees that do fall in. Some make it out and some don’t, but the numbers are very small for those that don’t.